When I’m asked by other Etsy sellers to help them with their Etsy shop, I’m surprised to see so many making the exact same mistakes! 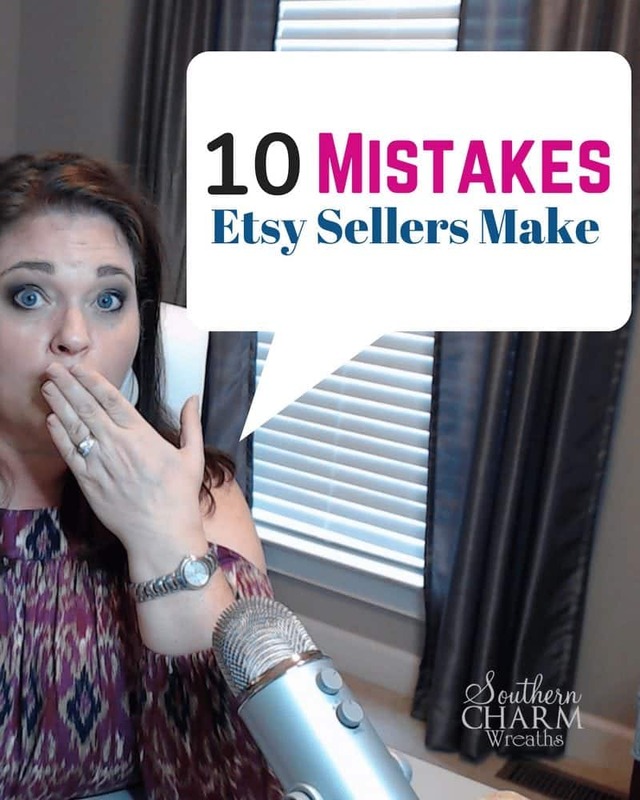 In this video, Etsy tips for beginners and how to get around these top 10 mistakes Etsy sellers make. This post contains some affiliate links for your crafting convenience. Click here to read my full disclosure policy. Before I go over my top 10 mistakes Etsy seller make, I want you to know that I’ve been selling for almost 10 years. I struggled just like you did in the beginning thinking it was okay just to throw any picture up on Etsy and expect it to sell. However, after researching how to best sell on Etsy, I realized quickly it’s not as easy as you think and there is a formula to it. 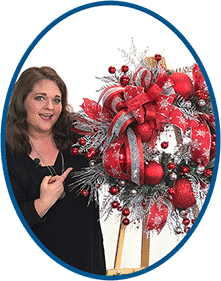 Also, not every Etsy shop is created equal and while I do have a lot of knowledge when it come to selling wreaths, remember to do the research for your own niche and maybe my video will help guide you. Complete your entire Etsy shop when, including shop Policies. Make sure you have clickable and cohesive looking shop and product images. Use all or most of the Etsy shop photos. Do your keyword research. Keywords are the only way you can get found. 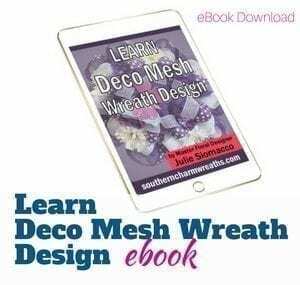 Use keywords in your shop title, first paragraph of your shop description, product title, first paragraph of product description, and product tags. Not all of your keywords should have a lot of competition. You want to get seen, not lost in all of the noise. Put the most important keyword first in your title. Tap into buyers emotions in your descriptions and product descriptions should be approximately 300 words. 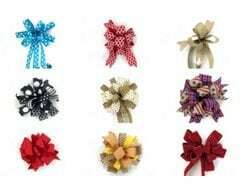 Think how can I improve the life of my customer with this product. Once a day add products to your Etsy shop increasing daily to a minimum of 50 products in your shop. Make products where you can sell multiple quantities of the same thing. Etsy algorithm likes to see sales and then renewals. I hope you found these Etsy tips for beginners useful. What tips do you have to share? What do you sell on Etsy? Feel free to post your Etsy shop below so that I can check it out! If you’re ready to join the Etsy team to start selling your craft too, use my affiliate link HERE and receive 40 free listings. Trying to use your tips with my shop. Thanks for all of your advice, Julie! So helpful! I am working on opening my Etsy store again. I had one about three years ago and closed it. I have a whole different outlook, so I am currently revamping my entire business. This year, I would like to have a better handle on inventory and bookkeeping for obvious reasons. Do you have any advice on this? 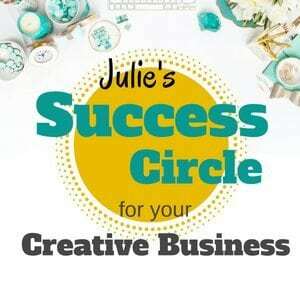 I teach this in my Success Circle group. I like Godaddy bookkeeping because it syncs with Etsy, Paypal and your biz checking account. Thanks so much for this lesson. About to open my own Etsy shop. I know these tips will be useful.